Home prices in Singapore have declined for the past three years. 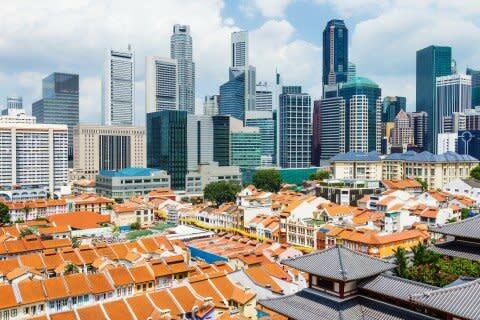 According to a report from Bloomberg, whether you look at prices or policy, the property markets in Singapore and Hong Kong are marching resolutely in opposite directions. Singapore has eased some rules in its property market, after more than three years of home price declines. Hong Kong in November tightened some restrictions, after prices rallied following a short-lived dip last year. The curbs in Hong Kong have had little impact so far, with existing home prices rising to all-time highs amidst brisk demand from buyers. As prices in Hong Kong have continued to rise beyond the reach of most people, the city’s leaders have been dealing with rising discontent. Hong Kong retained the title of the world’s most expensive housing market in the annual Demographia International Housing Affordability Survey for the seventh year in a row, with the highest affordability score amongst more than 400 markets surveyed.